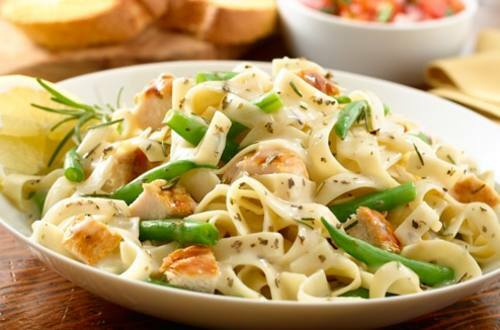 1 PREPARE Knorr® Pasta Sides™ - Butter & Herb according to package directions, stirring in rosemary. Stir in green beans during last 4 minutes of cook time. Cover and continue cooking , stirring occasionally, until pasta is tender. 2 STIR in chicken and lemon juice. Remove from heat and let stand, covered, 2 minutes; now it's delicious. Dig in!